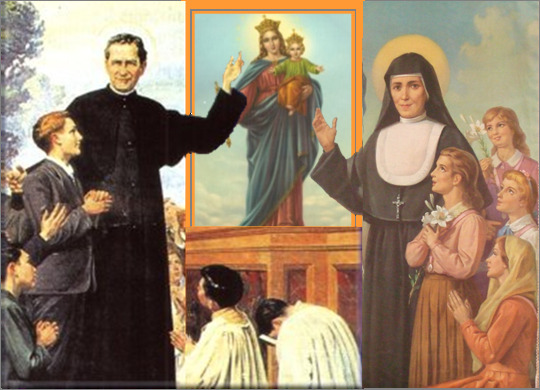 We are Daughters of Mary Help of Christians, popularly known as Salesian Sisters of Don Bosco, founded by Don Bosco in 1872 as a living monument of his gratitude to Mary, the Mother of God whom we honour as our mother, teacher and guide… We belong to a vast movement known as Salesian Family. Our Institute is the fruit of a love that was born of the great heart of Don Bosco and of the simple and creative fidelity of Mary Mazzarello. The Salesian sisters continue to keep alive the flame of this love lit in every continent. They share Christ’s mission in the Church especially through Christian education in the style of the Preventive system – a system of loving kindness, drawn from the heart of Christ Himself.